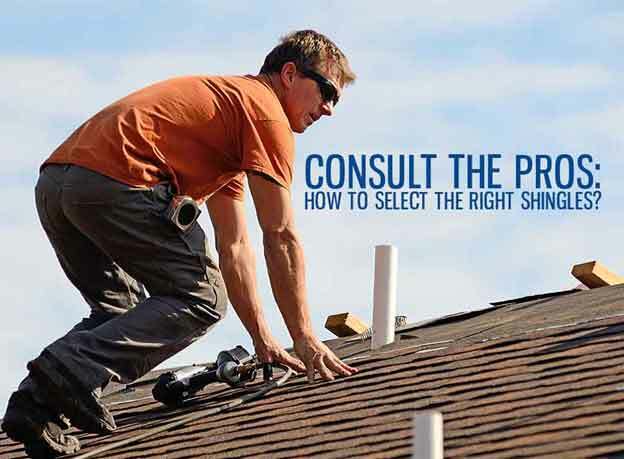 Consult the Pros: How to Select the Right Shingles? If your goal this season is to boost the value of your home, installing a new shingle roof is the best way to go. Shingles don’t just offer superior protection from the elements. They also make your exterior more attractive with their rich, colorful styles and textures. With so many shingle choices on the market, however, it can be difficult to pick the right one for your home. That said, don’t fret—Kroll Construction, one of the most trusted roofing contractors in Detroit, is here to help you make an informed decision. When it comes to shingle roofing, you need to consider which style best fits your exterior design. Generally, shingles fall into two categories: architectural and traditional three-tab. Architectural shingles are popular for their dimensional thickness and deep hues, which can greatly enhance the looks of any home. They offer the elegance of classic wood shakes, with durability like no other. Three-tab, on the other hand, is the most basic type of shingle. Though an economical option, it does not fall short on both beauty and performance. Before picking a style, you need to consider several factors, such as your Detroit roofing pitch and your main goal for replacement. When you have a steep pitched roof, your system is highly visible even while you’re standing on the ground. You can give it an interesting texture by installing architectural shingles. Alternatively, if your goal is to improve your home’s beauty and performance in the most cost-effective way possible, you can go for three-tab shingles. When picking a color, be sure to look at your architectural features, as well as those in your neighborhood. For best results, your roof should complement your home and be somewhat consistent with the rest in your surroundings. Review the evident color combinations used in most siding, trims, and roofs. If you’re not confident choosing a good roofing color, our design specialists are always ready to help you. Choosing the right shingle style and color can be difficult, but with careful planning, you can turn your home improvement dreams to reality. For all your roofing needs, you can count on Kroll Construction. We have been installing top-quality roofing in Detroit for over 50 years. To get a FREE consultation, simply call us at (888) 338-6340 or complete our form. We’ll be ready to assist you.